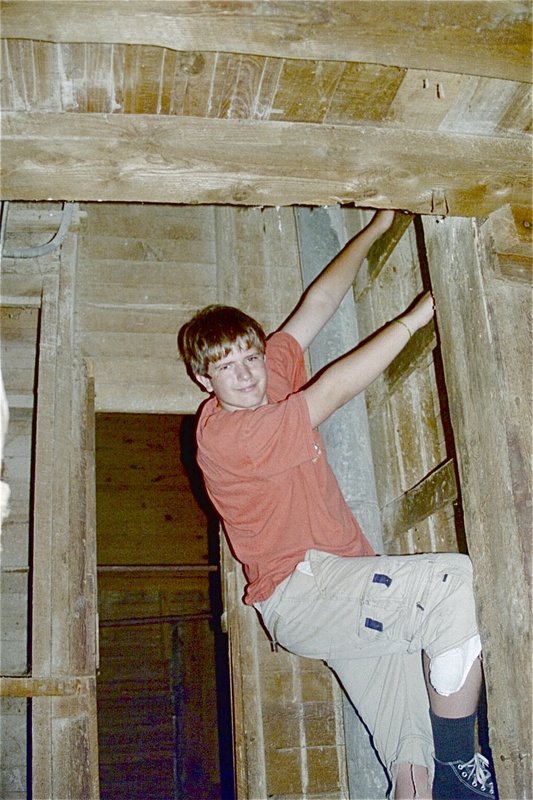 In June of 2006 we visited the Rockwood Mill and Opera house to see how they did their renovation. They chose to go the historical designation route and told us it was very expensive because of all the rules. 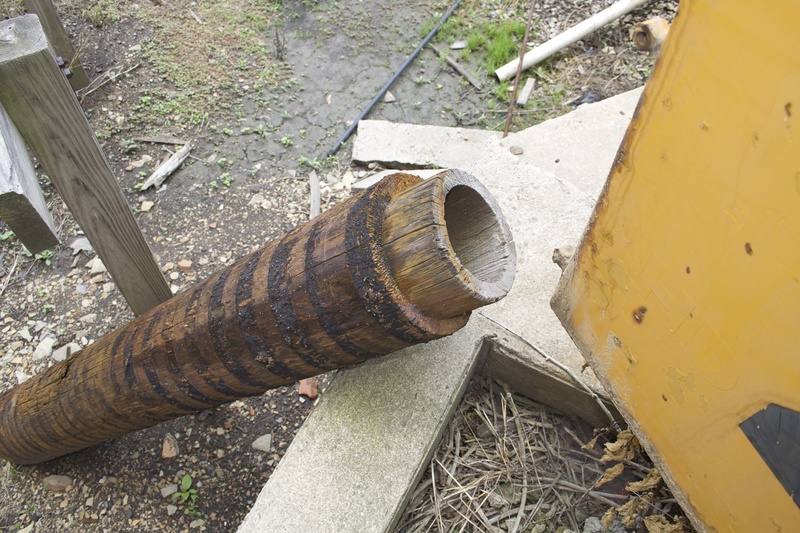 While there we found this old wood water pipe out in back of the Mill. 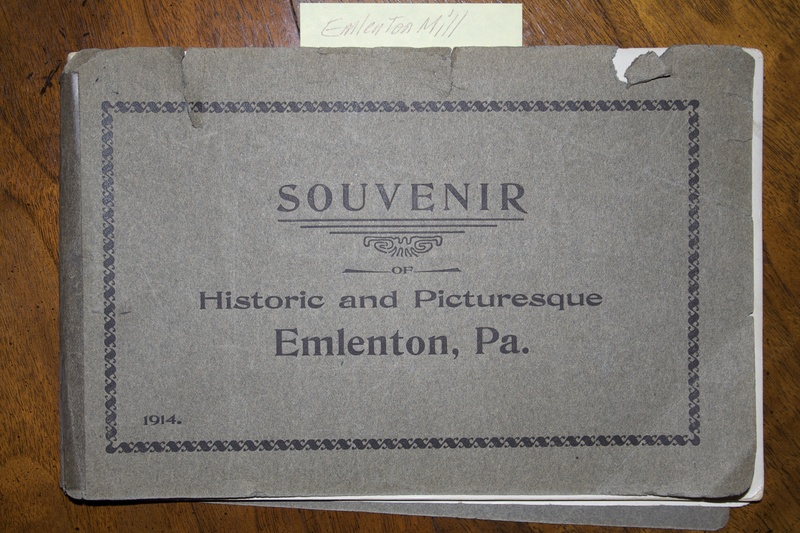 As we worked on the Mill movie, we also visited Arch Newton at his home, when he still lived in Emlenton, and he shared with us his collection of Emlenton Mill resources. 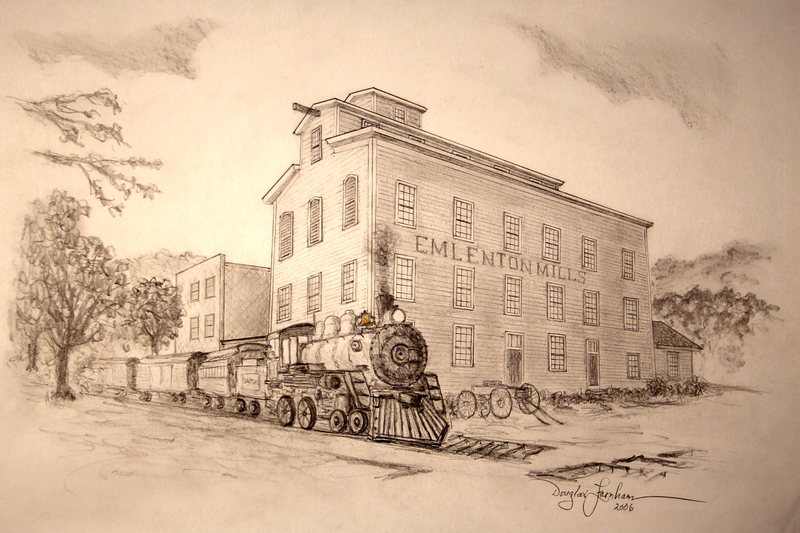 Many of these I have already shared in the History of the Mill series. 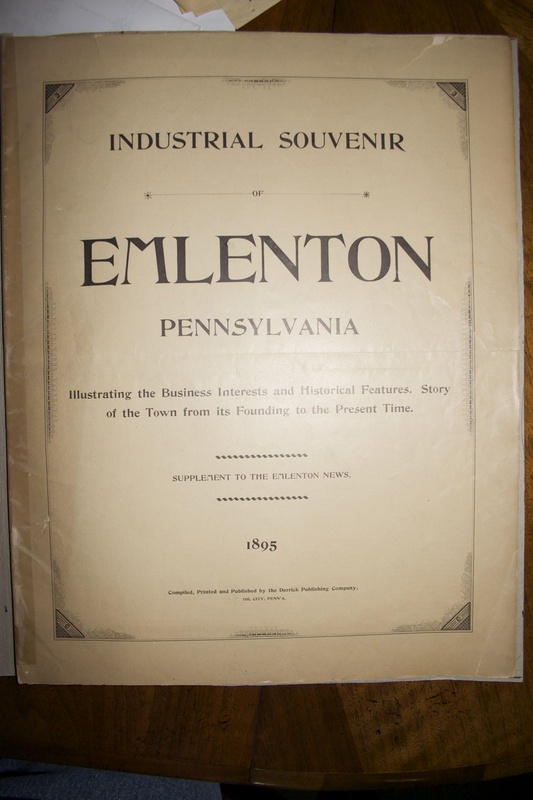 For our Mill movie we took lots of pictures of the Emlenton Mill and Zanella’s Mill but we still needed a few more pictures to complete the story. 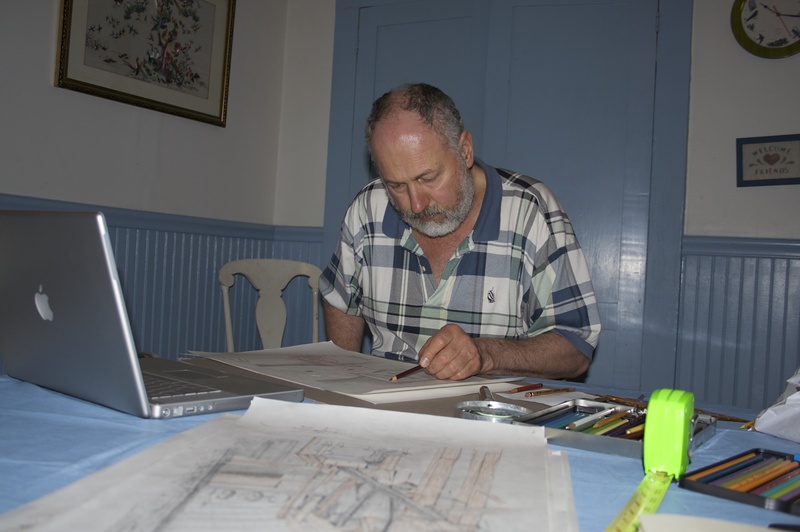 Miraculously, Douglas Farnham showed up at our farmhouse door asking if we needed any pencil drawings and he made us a number of fantastic drawings of the Mill and its machines for the movie. What a Godsend! 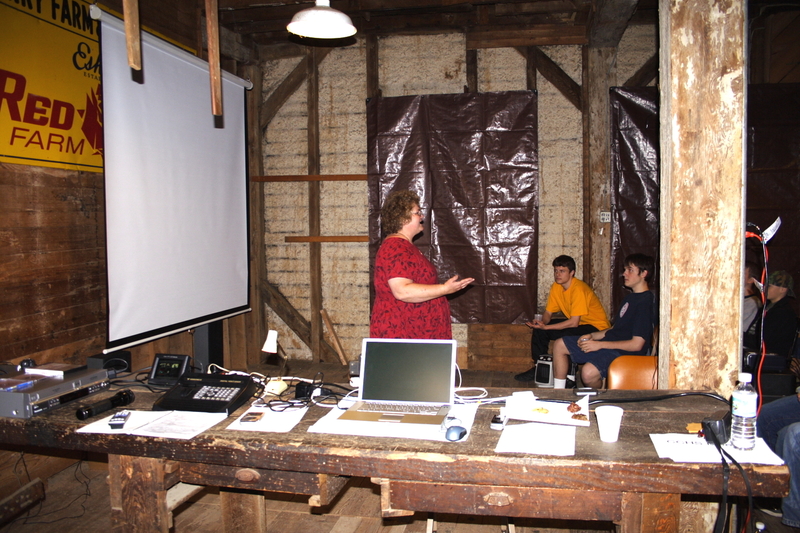 By June of 2006, Nancy was using the second floor of the Mill to teach a homeschool class in filmmaking. Note the old oak workbench. 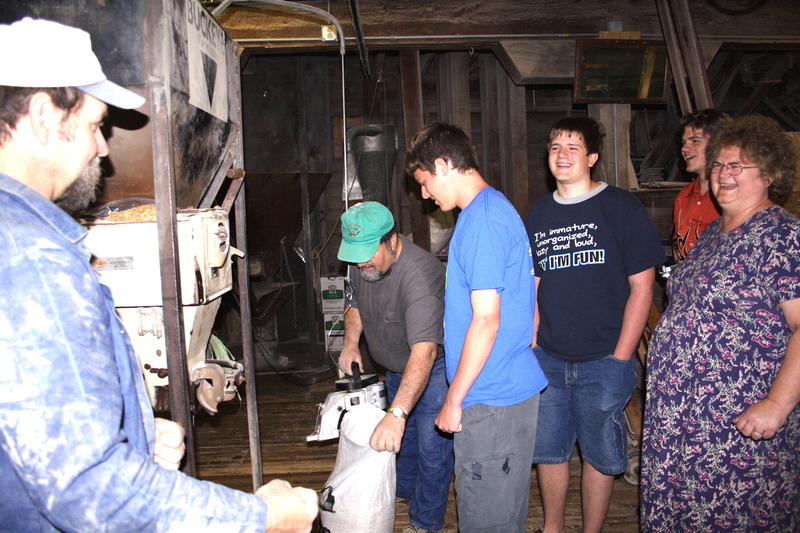 We were asked to submit a movie about the Mill to a local contest and visited Zanella Milling to get some shots of a working grain mill. 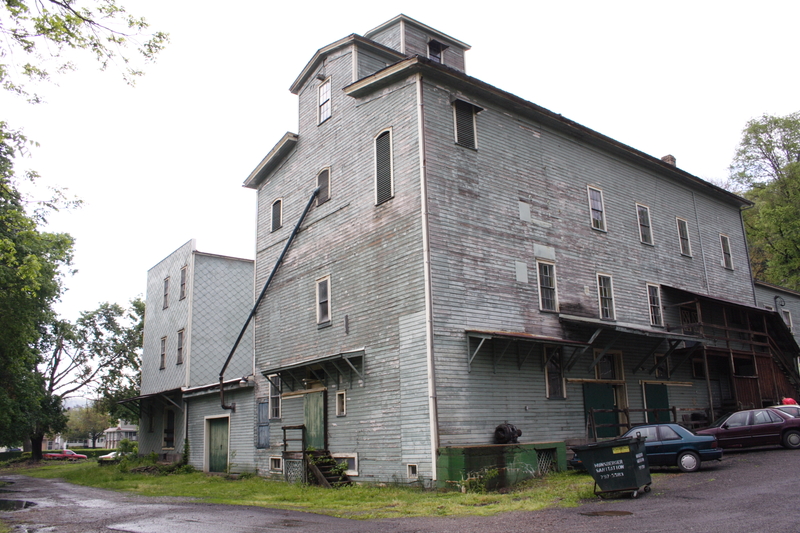 We spent the next year, 2005-2006, cleaning the Mill from top to bottom, 20,000 sq. feet of it. 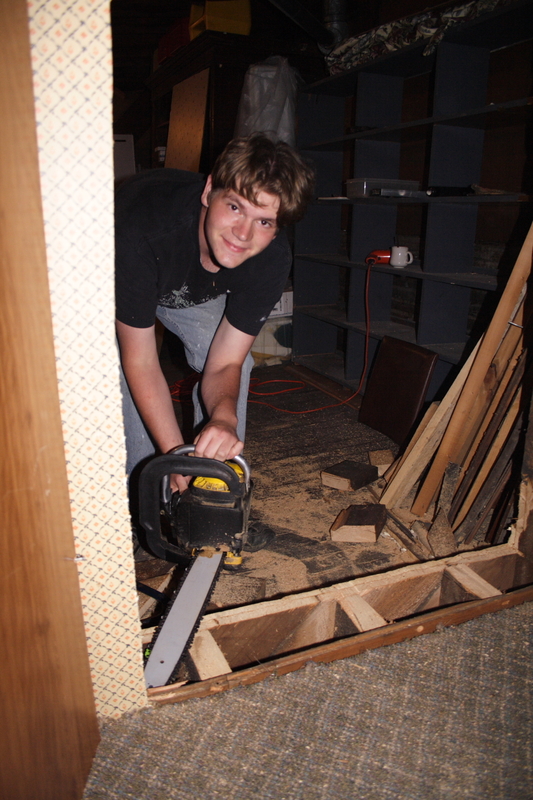 Michael found a ladder to the third and a half floor and we found inches of bat guano to clean up. 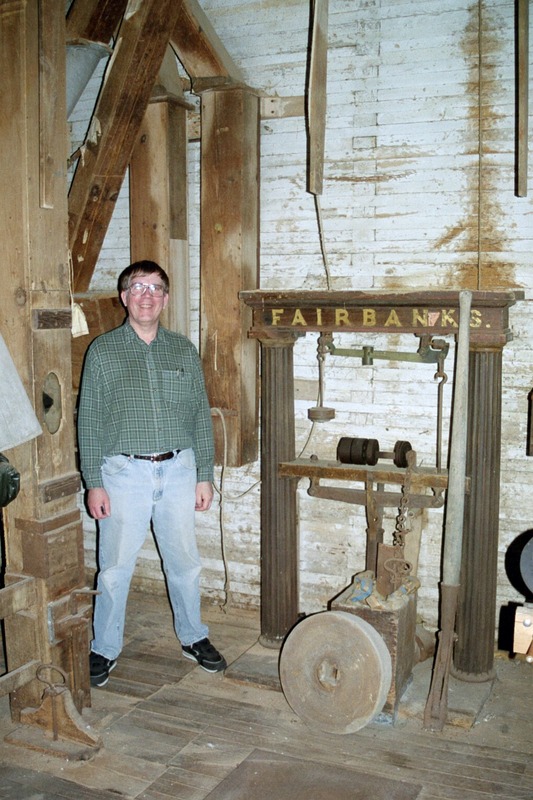 March 8, 2005 with Mr. Stump (in the hat) touring the Mill. 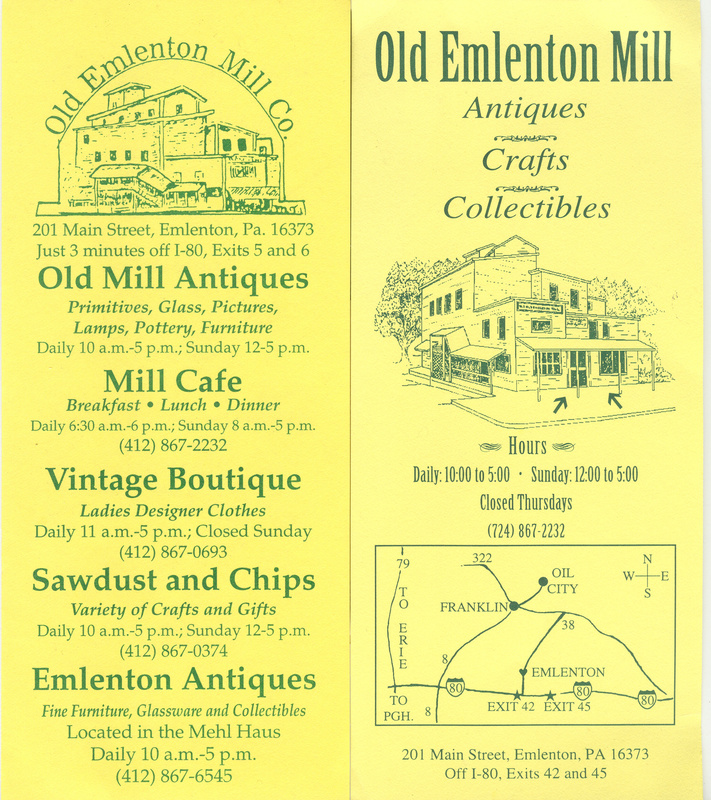 I also found a third brochure from 1989 mentioning the “Mehl Haus” (“flour house” where the picture was taken) and the shops in the Mill. 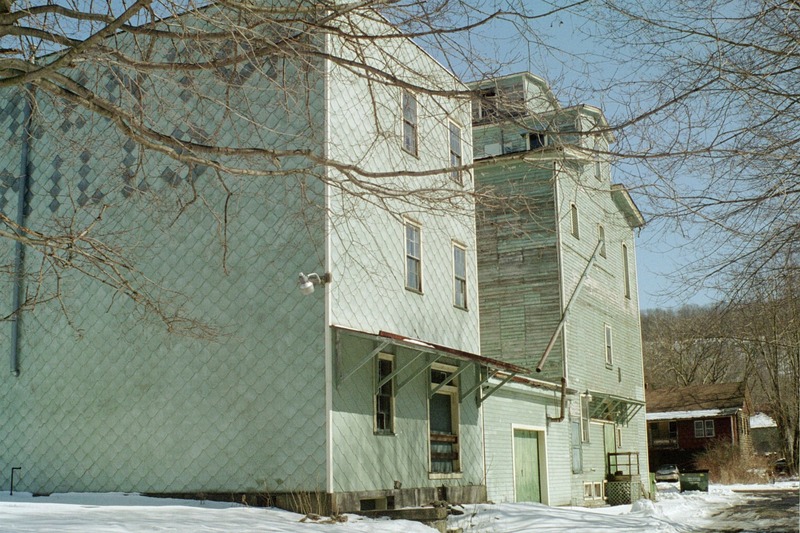 These pictures were taken early in 2005, probably before we owned the Mill. Nancy is holding one of Mrs. 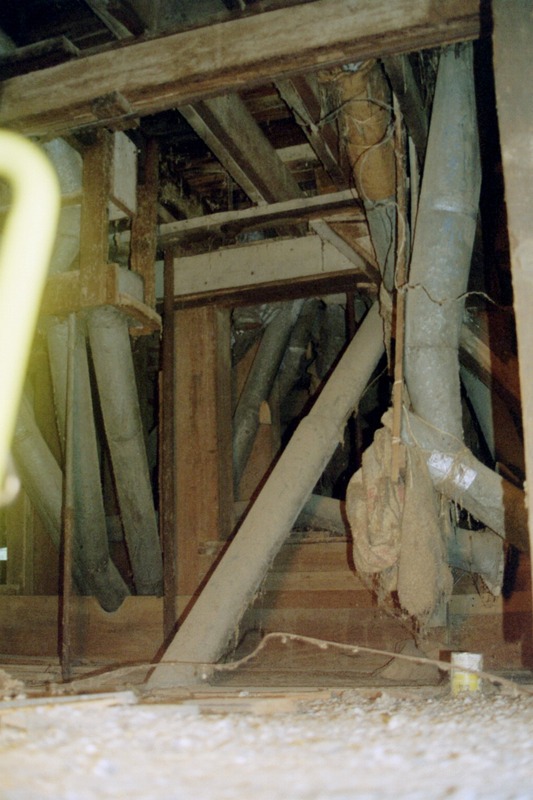 Stumps brochures from the 1990 renovation. She is on the first floor in front of the grain mixer. 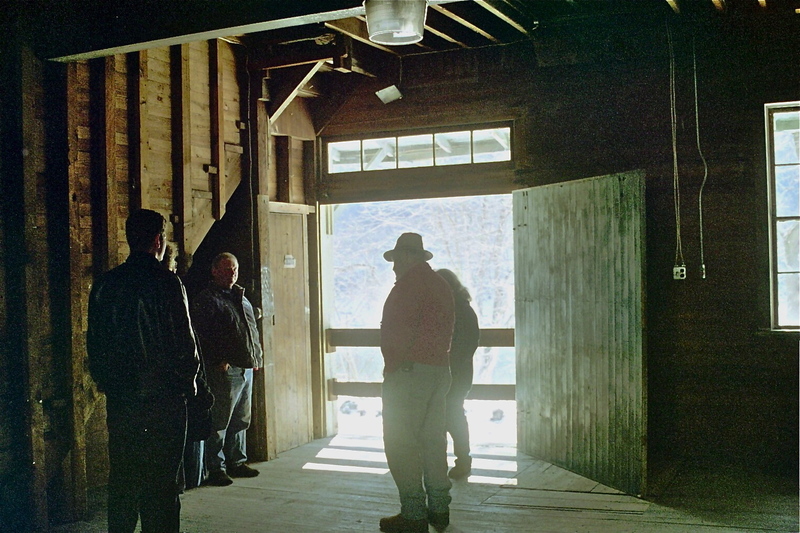 There is a good shot of the garage that eventually became the patio for the ice cream shop. Paul is standing in the control area next to the elevators. 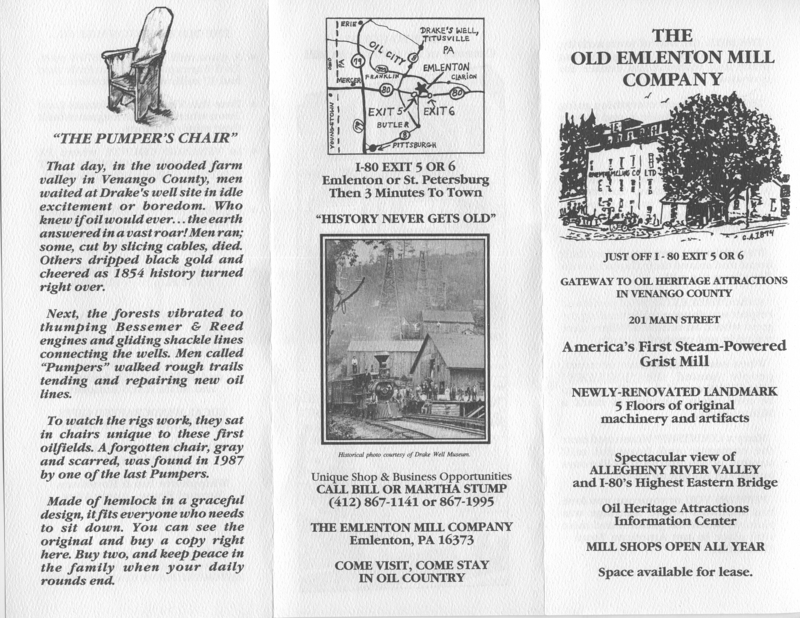 We purchased the Mill from Bill Stump of the Old Emlenton Mill Company in the Spring of 2005. The antique coop of the 1990’s closed before the turn of the century so the Mill had been closed for at least five years when we purchased it. It had a single layer of clapboard and Nancy was fond of saying the wind blew through it and the bats blew through it. 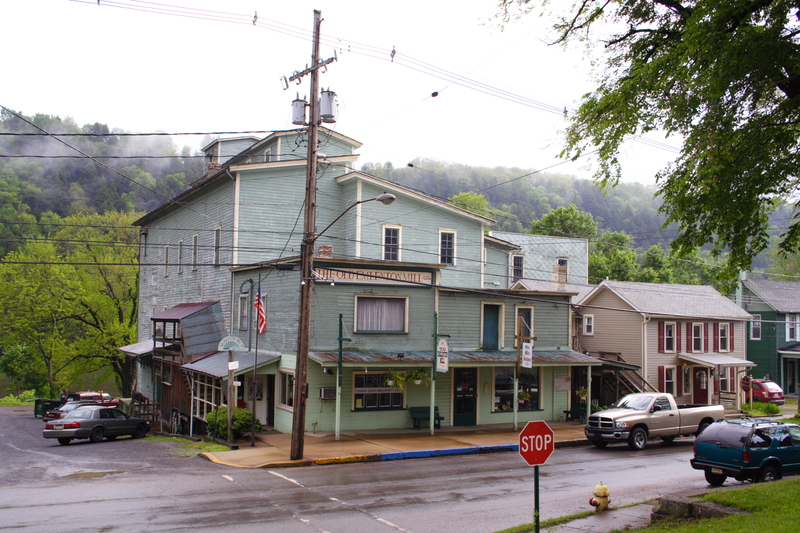 We came to purchase the Mill because some Christian friends asked us to help them find a building in Emlenton for a coffee house. When Nancy prayed about it she felt the Lord tell her to buy the Mill. 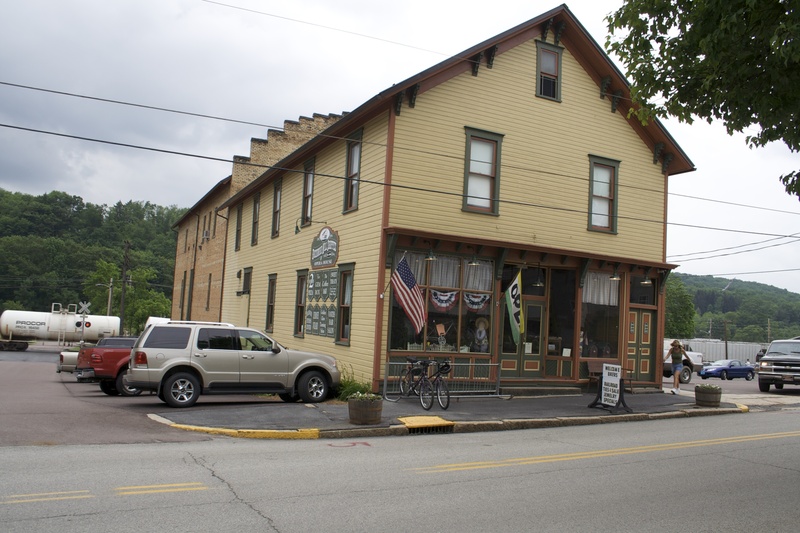 We had been living just outside Emlenton for five years and our former house in Murrysville had been on the market all that time. 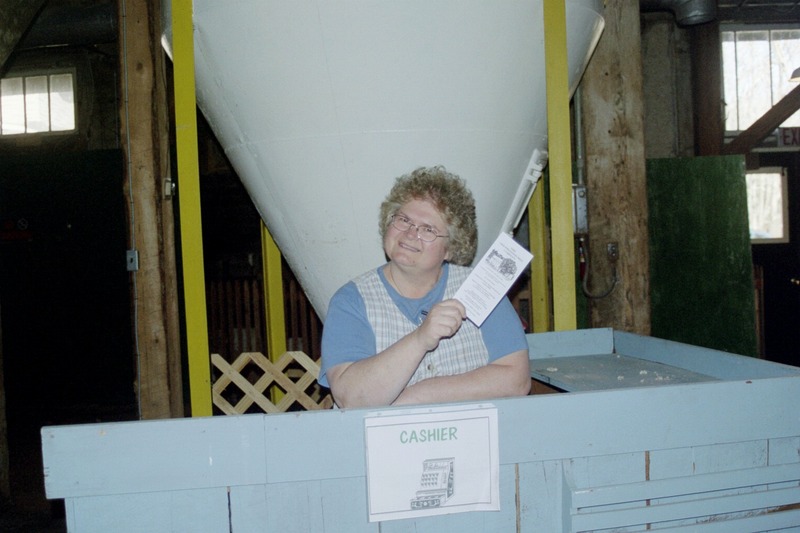 Miraculously, a buyer appeared with cash just in time to provide the funds to purchase the Mill. It was one of the first of many miracles connected with the Mill. 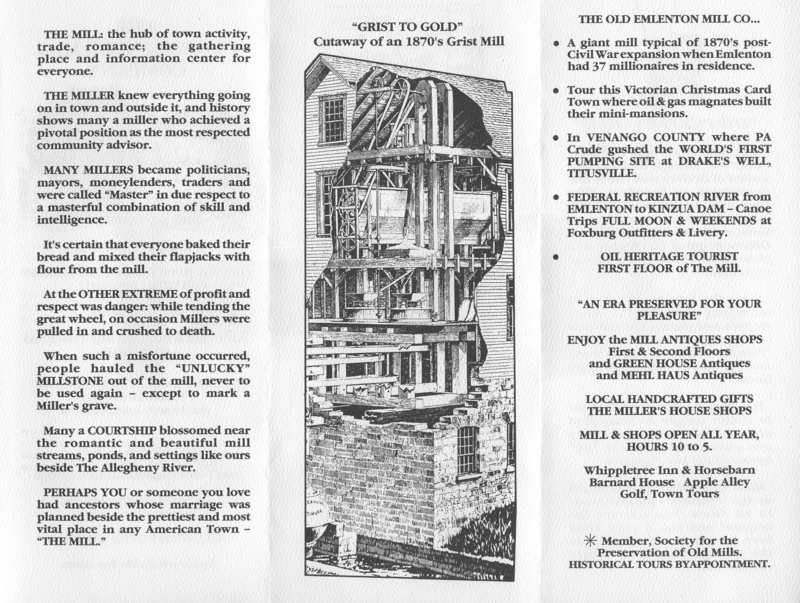 This is another Mill brochure circa 1989.